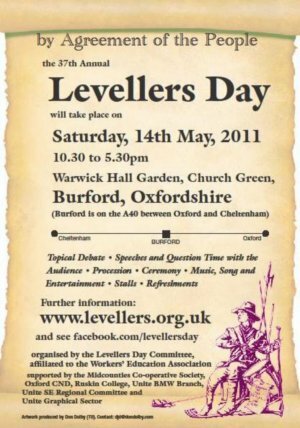 Why Did the English Levellers Think the Bible was their Guide? The relation of master and servant has no ground in the New Testament . In Christ there is neither bond nor free. Ranks such as those of the peerage and gentry are ethnical and heathenish distinctions. There is no ground in nature or scripture why one man should have £1,000 per annum, another not a pound. The common people have been kept under blindness and ignorance and have remained servants and slaves to the nobility and gentry. But God hath now opened their eyes and discovered unto them their Christian liberty. they need to interpret the bible in an absurdly complicated way for it to be read as inerrant, which they teach it necessarily is because it is God’s own work, and God cannot be wrong, and so it has to be read the way the pastors say! to direct their attention to Paul and away from Christ because the Jesus Christ of the three synoptic gospels, Matthew, Mark and Luke, is perfectly easy to understand, and very pointedly favors the poor, whereas Paul is much more confused and confusing, so suits the obfuscating vicars and ministers all the more. In the Sermon on the Mount, Christ blessed the poor in spirit, the meek, the merciful and the peacemakers, and offered no blessings at all for the rich in spirit, the arrogant, the cruel and the troublemakers. To be blessed meant to be made holy so that they would be guided by God into His kingdom. It could not be plainer that Jesus favored the poor to the exclusion of the rich. Indeed, Christ tells a rich man he has to give his wealth to the poor to be saved. So riches are no blessing, rather they are the way that those who are not blessed betray their greedy cruel natures to the world at large.